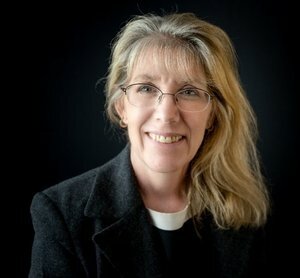 Dr. Rhonda Farrell’s experience includes three decades of international and domestic support in technical and management consulting and various associated organizational roles to Fortune 500 commercial firms, state, and federal government entities in the areas of engineering, operations, quality, and cybersecurity. She has significant experience provided organizational change management, strategic development and alignment, business transformation, business process improvement, quality management, training, and integrated knowledge management services, as aligned to functional area verticals, as well as ‘total firm’ mandates, associated with Baldrige, ISO 9000, and (Lean) Six Sigma initiatives. Additionally, over the last 10 years she has in parallel focused on providing a wide range of change management related services to growth and governance maturing initiatives surround non-profit organizations providing services to the cyber, quality, and STEM arenas. Dr. Farrell has been recognized as Strathmore Who’s Who, Lifetime Women of Excellence Award (2016); US Marine Corps, Beaver County Marines Special Speaker Recognition (2013); ISSA International Distinguished Fellow (2017), ISSA International Fellow Award (2014), ISSA International Honor Roll Recipient (2014); ISSA International Senior Member (2013); IEEE Extraordinary Volunteer of the Year (2012 – 2014).